Our emotions are very much like fire. They can either roar with life or flicker down almost to the point of extinguishing. The anger that bubbles to the surface and becomes evident on our face is like gasoline on a flame. It takes like wild fire, smoke everywhere, sooth clinging to every surface and leaving destruction in its wake. Our words sometimes get the better of us at these points and every control switch that we learned to flick off suddenly switches on and every insecurity and point of hurt comes tumbling out. At times like these we find it difficult to take back our words, in fact it’s impossible to take them back. There they lie on the table naked and exposed – your heart and everything that it stored away for your mind and your mind alone. It’s okay, though to spout these thoughts because our shoulders learn to breathe and drop their weights at our feet. We learn to let go of many things and instead take large gulps of air after air. Because you feel like all the air in this world will never be enough for your lungs and you cower at the thought of what your confession might entail. Don’t be afraid. 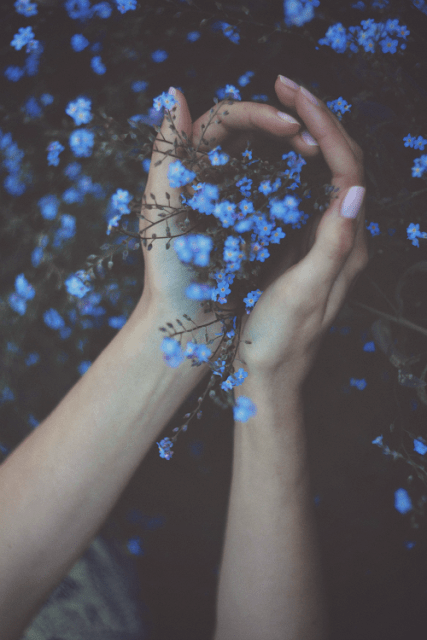 It’s okay to unclench your fingers sometimes and just let go, deep down even you knew that this fire was going to cause a major blast that would send your thoughts exploding in every direction. There are moments that I imagine in my life that might cause forest fires and building fires and city fires that could end up destroying almost everything and I’m watching from the sidelines clenching my throat for air only to cough up a fit due to all the smoke. It’s okay to speak up, from time to time instead of causing gastronomic destruction. Speak your mind. Destruction always happens in most painful and impossible-to-fix-ways. Better not to let it get that far otherwise our bodies start feeling foreign and our skin becomes a home we no longer feel safe in. Don’t start to break within yourself. Don’t start to break parts of yourself away. Chipping away pieces is the first clue. This fire burns within us all. The passions and dreams and ambitions run in our veins. The dreams make up more percentage of our body than the blood in this heart. And it’s what keeps us going and pushing and careening towards our happiness. Learn to cling to them a little longer but always remember that you have the option to toss them in the fire, watch them burn and then flip to a new page to start again. There is another kind of fire. The one that moves sensuously, swaying lazily from side to side just waiting for the oxygen to finish so that it can fall into slumber till all that is left is warm ash and rising smoke. Stay away from that fire. Never reach that point where giving up is more appealing and dreams that you see when your eyes are closed are much better than the ones you can accomplish while awake. I swear that fire won’t burn you but its dance will make you an addict till all you can do is watch it sway, captivating you in a trance. Hypnotism works no better way. Don’t fall prey and everything will be fine. Take that aerosol can and toss it in. I give you permission to watch the flames grind and gyrate before you like bodies swaying in close proximity to music that makes the blood pump in your body and your feet move in unison. Dance a little longer, I dare you. A broken friendship is the worst because all you’re left with are memories that play in constant replay in your head. And you can’t stop yourself from dissecting the very scene where everything went wrong and why exactly you allowed for it to steer in that direction. My mother has a ritual of sorts, right before she travels she makes it a point to call up close family and friends to apologize. I never asked her why she does it but for some reason I’ve silently accepted it and understood the meaning behind it. It’s unspoken but so right. Words, I’ve often found come in abundance when written down but stop in flow when you want to voice them out to someone. Somewhere along the way I think the heart and the mind battle it out regarding what to say and you’re left fidgeting wondering the ‘just right’ words. My heart is a vessel of words unspoken that I wish I had said but never found the courage to. It’s when you sat right in front of me and my mouth opened but nothing came out. It’s when my mind made sense of what to say and just took too long deciding until it was too late. It’s when I wanted to press the call button so bad but I feared the awkward silence and having nothing to fill the void. It’s when I cried myself to sleep and never explained my tears. It’s when I wanted to make peace between you and her, but somehow feared the outcomes and repercussions. I’m calling it ‘dandelion season’. There, I said it. It’s easier to wish upon a dandelion and let the wind carry it away rather than make it come true ourselves. I know the fear makes me shake and I know it makes you shake. I know that the superficial layer is comfortable but it’s like a duvet that doesn’t do its job and leaves you cold and miserable throughout the winter night. We pick dandelions and consider them our anchor. 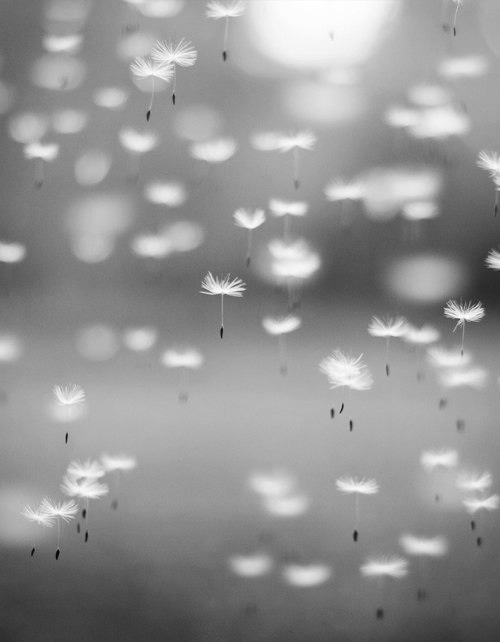 Every time we have difficulty saying something, we blow one away till the seeds are no longer visible and we can sigh with relief knowing that we’ve wished and that’s all we could have ever done in the first place.